The Horror Section: ABC Update. Hello folks. I hope everyone had a great weekend. 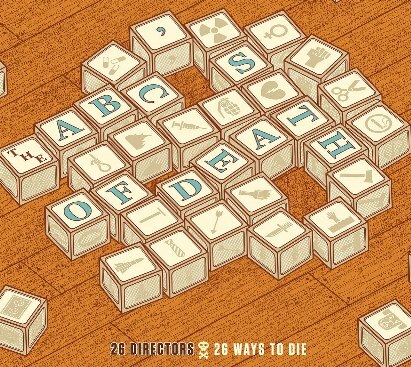 T is for Thread, the short I co-produced for the ABC's of Death has been out in the world for a week now and I just wanted to post an update. The response we've been getting has been pretty positive so far and this weekend we cleared 500 votes, which is a little crazy. Big thanks to everyone who has voted for it so far. If you haven't seen it yet, you can click the image in the sidebar to the right, or just click here. And remember to vote. Our director Chris Nash has promised free back rubs!